of this level: an unprecedented statue. This is a gift for all the admirers of his great comic art. Working on the film. we decided to start with the legendary Stanislas Lefort. 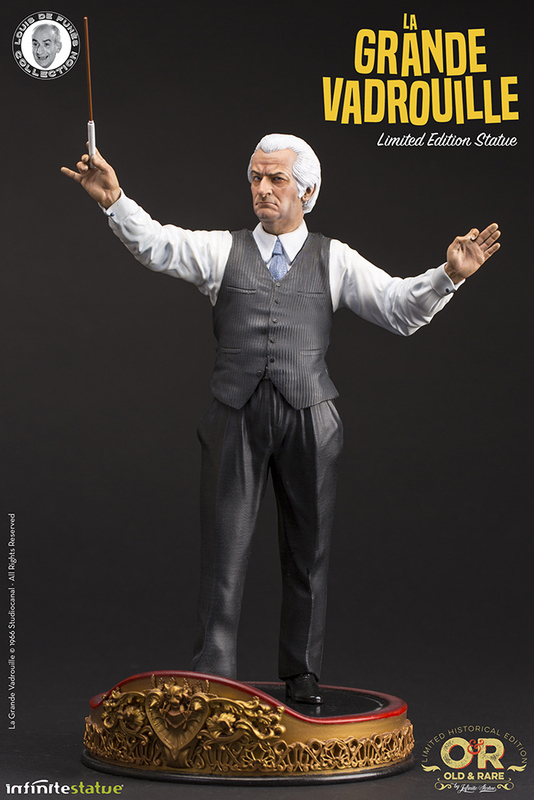 choosing to represent him in his two “versions” exactly as it appears in the film: the great conductor with the legendary white wig (a clear tribute to the great Karajan) and without . or the man fleeing the Germans. For this reason the statue is provided with an interchangeable “alternative” head so that it can be obtained both in the Lefort version and in the more familiar De Funès version. The base of the statue is a tribute to the large balcony of the Opera di Parigi reproducing with extreme care a part in all the smallest details.